“3” reveals the significance of this sacred number, its connection to the integrity of existence, and how order is organically sustained through the underlying pulse of 3. 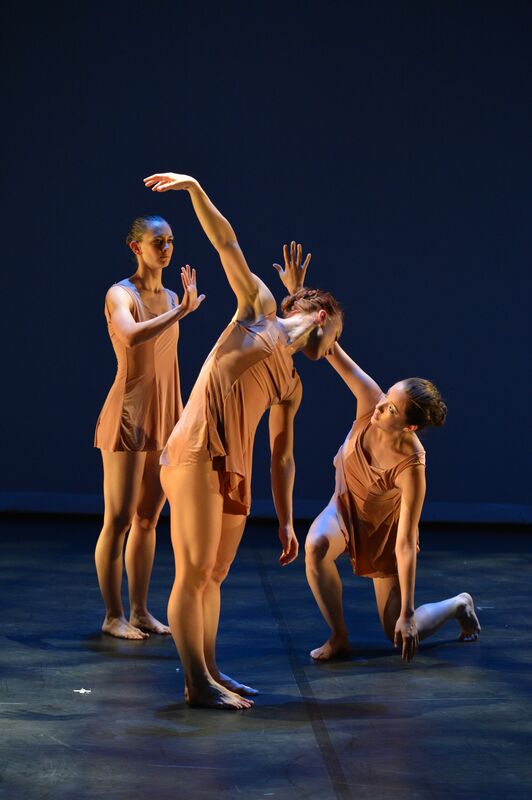 Performance at MD Choreographers Showcase, 2014; Collaborators include Cuong Nguyen (music); Melissa Cole, Kelly Hall, and Olivia Serrill (dancers); Michael Faulkner (photo). “Matter, Energy, Human” delves into the nature of human existence and our connection to the greater universe. Newly realized, 42 minute work performed at the Havre de Grace Opera House, 2017; 6 Dancers; Collaborators include Timothy Nohe (music), Heather Mork (lighting design), Leigh Targaryen and Jay Buechler (costume). *Nominated as a Baltimore Best Performance 2017. "Inner Palette" follows the journey of a woman sifting through complex layers of her psyche to reach self-acceptance. As the emotionally and physically rich layers emerge and unfold, the dancer moves toward a heightened, frantic state before finally releasing, submitting, digesting, and opening her eyes to her true, inner fabric. 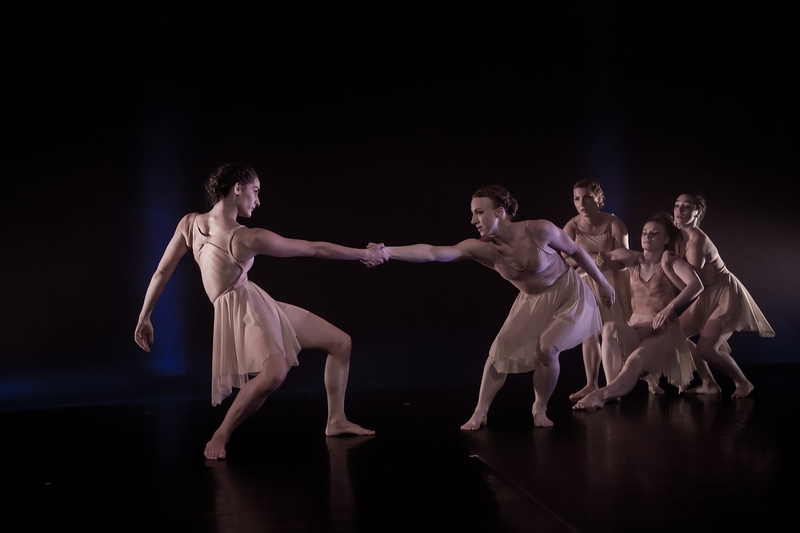 Reconstruction premiered at the Havre de Grace Opera House, 2017; 1 Dancer; Collaborators include Lia Karagianopoulos (performer) and Heather Mork (lighting design). Full of new collaborations and traveling adventures, Martinell created 3 new works, premiering in Tulsa, Oklahoma, New York City, New York, and her beloved Baltimore, MD. 2018 was full of excitment! Created and performed by Nicole A. Martinell (Deep Vision Dance Company) and Malcolm Shute (Human Landscape Dance), Tender Rootis a duet exploring the transformative cycle of organic matter. Images of blooming, leaves unfurling, and vines weaving emerge as two, connected bodies seamlessly morph and create new forms. Undertones of human intimacy and interconnectivity thread through the work. Premiere: June 2018; Length: 9:40 minutes; Collaborators: Malcolm Shute (co-choreographer/music), Dancers: Nicole A. Martinell & Malcolm Shute; Special feature: ECOPOETIC, Washington Square Park, NY. Cadence, or lack thereofis a witty duet illuminating the awkward do-si-do of social interactions. As the individuals attempt to connect their inner rhythms with each other’s habitual grooves, their playful banter of nonsensical dialogue and disjointed movements unfolds. In the subtext, the work teasingly portrays dancers in the creative process. Premiere: July 2018; Length: 9:00 minutes; Collaborators/Dancers: Samantha Hopkins, Jeanna Riscigno; Special Feature: Exchange Choreography Festival, Tulsa, OK.
A few sheets of dropped papertraverses the line between work and play. A group of young nine-to-fivers realize that their jobs exemplify their bleak lives: overly structured and going nowhere. Luckily, it only takes a handful of dropped paper to turn the tide. Those blank pages are a stimulus for play, creativity, and freedom. Premiere: November 2018; Length: 12:00 minutes; Collaborators/Dancers: students of the CCBC Dance Company. On the horizon, Martinell looks forward to premiering The Somethings in My Mind at the Baltimore Theatre Project in March 2019. She also has a new collaborative project in the works with sculptor Lisa Dillin entitled The Space Between (Us), premiering at VisArts in September 2019. The Somethings in My Mind reveals the tempting cycle of becoming consumed by our habitual, mental constructs. Our thoughts carry layers of emotional baggage and have the power to shift our view of reality and dissipate the conscious self. Through the image of a lingering rolling body at one’s feet, The Somethings in My Mind explores this strange, yet enchanting, burden of one’s thoughts. Original score by Griff Beheler and videography by Timothy Nohe accompanies the work. 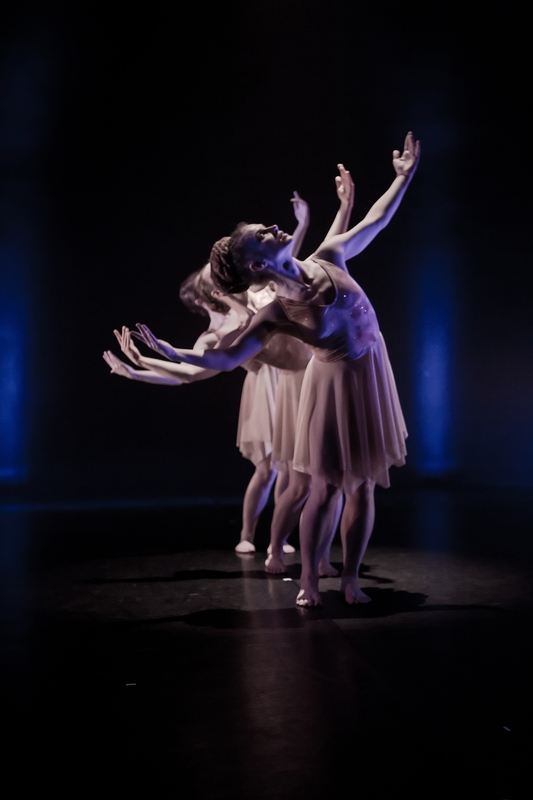 Performance of "Tender Root" at the Inertia Choreographers Showcase, October 2018. Dancers/Collaborators: Nicole Martinell (Deep Vision Dance Company) & Malcolm Shute (Human Landscape Dance); Lighting Design: Rebecca Wolf. Photo by: Kanji Takeno. "Tender Root" is a contemporary duet exploring the transformation of organic matter. Premiered at ECOPOETIC in Washington Square Park, New York City, NY. Collaborator: Malcolm Shute (co-choreographer, music). Dancers: Nicole Martinell & Malcolm Shute. 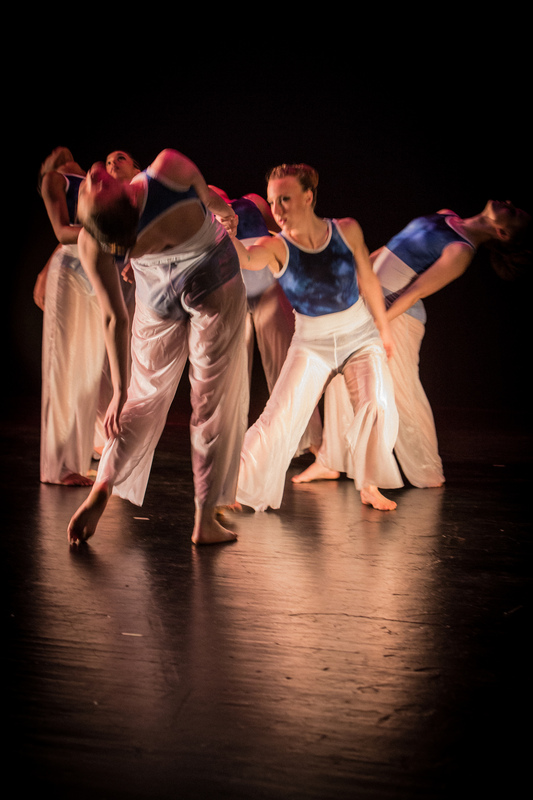 Performance: Inertia Choreographers Showcase, Studio Theatre, Towson. Rehearsal footage of "A few sheets of dropped paper." Traversing the line between work and play, a group of young nine-to-fivers realize that it only takes a handful of dropped paper to boredom into creativity and freedom. Premiere:Center for the Arts Theatre, Catonsville, MD. 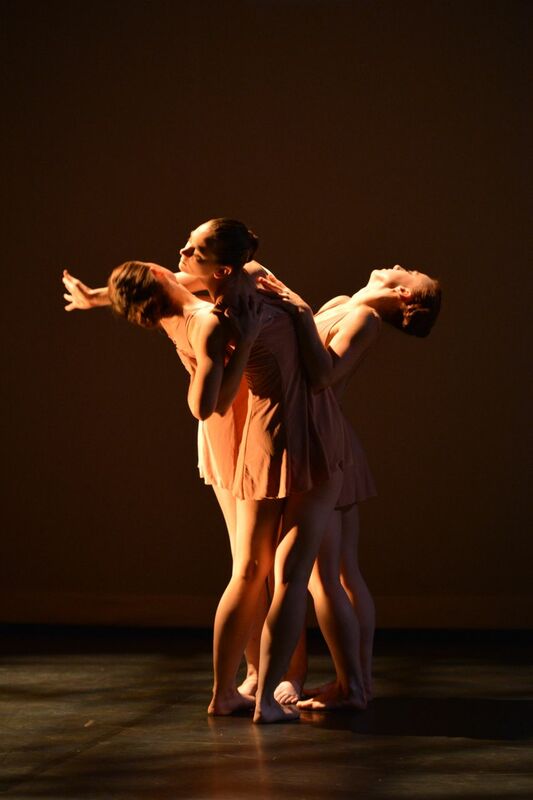 Dancers: CCBC dance company. Performance of "Cadence, or lack thereof" at the Exchange Choreography Festival, Tulsa, OK. Dancers/Collaborators: Samantha Hopkins, Jeanna Riscigno. Photo by: Nathan Harmon. “Cadence, of lack thereof” illuminates the awkward do-si-do of social interactions. Premiered in Tulsa, OK at the Choreography Exchange Festival, 2018; 2 Dancers; Collaborators include Samantha Hopkins and Jeanna Riscigno (dancers), Kendra Shapanus (costume). Matter, Energy, Human delves into the intersections between quantum physics, metaphysical theory, and the human experience. Each section uncovers the visual beauty of unfolding physical phenomena while illuminating the complex, yet delicate, human condition – physically, emotionally, spiritually, and as a universal whole. Deepak Chopra’s writings in Everyday Immortality: A Concise Course in Spiritual Transformation impact the connective fabric of the work. Audiences witness two storylines – (1) energy and matter and (2) the seemingly concrete human experience – that parallel, impact, weave, crescendo, and converge. Collaborator Timothy Nohe composes the evolving, oscillating sound score. Matter, Energy, Human was nominated as a Baltimore Best Performance 2017. Premiere of “Matter, Energy, Human” at Baltimore Theatre Project, April 2016. Dancers: Deep Vision Dance Company; Music Composition: Timothy Nohe; Lighting Design: Heather Mork; Costumes: Leigh Targaryen and Jay Buechler; Photo by: City Digital Photography. "Matter, Energy, Human" at Artscape with Miki Flores-Amper's Crater! Recorded July 16, 2016. Choreography by Nicole Martinell. Sound score composed and recorded by Timothy Nohe. Friction percussion by Shelly Purdy. Analog synthesis, e-bow guitar, percussion by Timothy Nohe. Boy-soprano, Ruskin Nohe-Moren. Elizabeth Terschuur rehearsal director. Dancers: Kristina Ganssle, Chelsea Green, Kelly Weckesser Hall, Samantha Hopkins, Caitlin McAfee, Zoe Papaeracleous, Ciarra Phillip, Lizzy Purcell and Alyssa Whitney. Site-Specific restructuring of “Matter, Energy, Human” for Miki Flores-Amper’s Crater! at Artscape 2016. Crater! is a fictional crash site/art space, which includes a large raised platform with geodesic sphere, projecting light and sound. 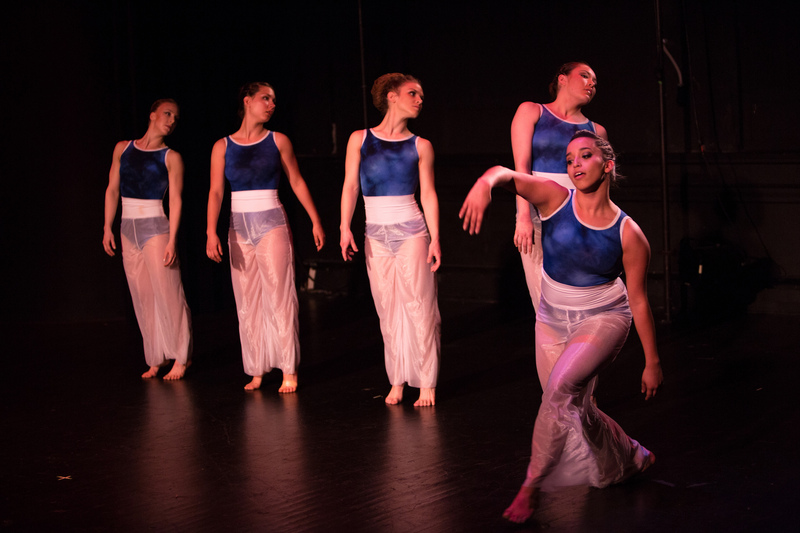 Dancers: Deep Vision Dance Company; Music Composition: Timothy Nohe; Costumes: Leigh Targaryen and Jay Buechler; Photo by: Timothy Nohe. Each work featured multiple collaborations, included audience interaction, and ranged in length from 20 minutes to 2 hours. Flashing back to the 1960s, "Evening at the Chesapeake Restaurant" (2016) transports you to the heyday of the historic Chesapeake Restaurant. Live jazz music and cigar smoke permeate the air as the who’s who of Baltimore rubs elbows, dances, sips martinis, and dines on steak and seafood. Premiere: Chesapeake, September 2016; Length: 20 minutes (2 hour loop). Collaborators: Deep Vision (Dancers) Charles Wilson (Drums), Todd Simon (Piano), Blake Meister (Bass), Chloe Wiecz (Vocals), Leigh Targaryen (Costumes). Photo by Walter Levy. "Evening at the Chesapeake Restaurant" transports you to the heyday of the historic Chesapeake Restaurant (1960s). Live jazz music and cigar smoke permeate the air as the who’s who of Baltimore rubs elbows, dances, sips martinis, and dines. Premiere: Chesapeake Building, September 2016; Length: 20 minutes (2 hour loop). Collaborators: Deep Vision (Dancers) Charles Wilson (Drums), Todd Simon (Piano), Blake Meister (Bass), Chloe Wiecz (Vocals), Leigh Targaryen and Jay Buechler (Costumes). Photos by Walter Levy (#1-3), ZZ Handler (#4-9), McKenna DeBandi (#10-21). "Sacred Spaces" (2013) is a collaboration with Congregate: an exhibition that established artist residencies within houses of worship. 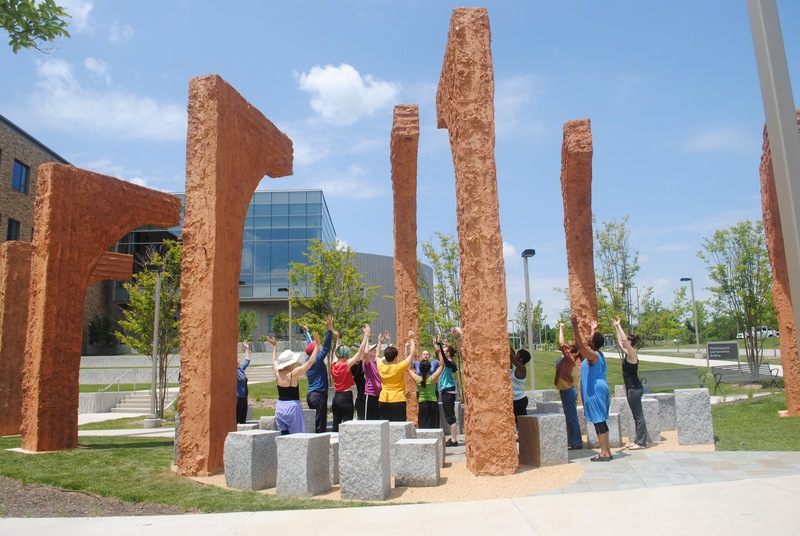 "Sacred Spaces" tells a story that connects the congregations, the artists’ works, and the AKIMBO community. Premiere: Leidy Gallery, September 2013; Length: 20 minutes (2 hour loop). Collaborators: Deep Vision (Dancers), Friday Night Book Club (Musicians), MICA M.F.A. Curatorial Practice, Laure Drougoul, Leo Hussey, Tiffany Jones, Bashi Rose, Katherine Kavanaugh (Artists). Photo by Zachary Z. Handler. "Sacred Spaces" (2013) is a collaboration with Congregate: an exhibition that established artist residencies within houses of worship. 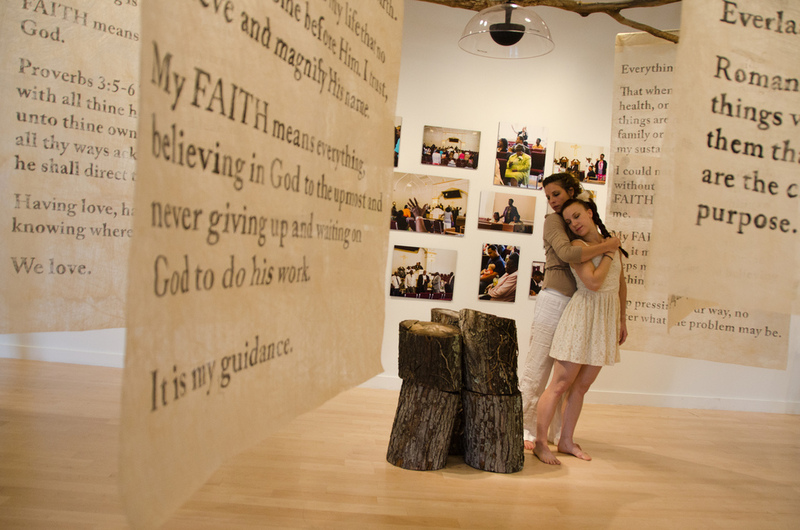 "Sacred Spaces" tells a story that connects the congregations, the artists’ works, and the AKIMBO community. Premiere: Leidy Gallery, September 2013; Length: 20 minutes (2 hour loop). Collaborators: Deep Vision (Dancers), Friday Night Book Club (Musicians), MICA M.F.A. Curatorial Practice, Laure Drougoul, Leo Hussey, Tiffany Jones, Bashi Rose, Katherine Kavanaugh (Artists). Photos by Xiotain Yang (1-13) & City Digital (14-19). "Bottle Caps & Suits" (2015) explores the 100 year old history of a Baltimore factory - transitioning from the Crown Cork & Seal Company, to the Lebrow Brothers Clothing Company, and finally to the Baltimore Design School. Premiere: Baltimore Design School, September 2015; Length: 20 minutes (2 hour loop). Co-Choreographer: Peter Redgrave. Collaborators: Peter Redgrave (Performance Artist), Deep Vision Dance Company (Dancers) Griff Beheler (Music), Elizabeth Terschuur (Rehearsal Assistant). Videography by Michael R. Faulkner. "Bottle Caps & Suits" (2015) explores the 100 year old history of a Baltimore factory - transitioning from the Crown Cork & Seal Company, to the Lebrow Brothers Clothing Company, and finally to the Baltimore Design School. Premiere: Baltimore Design School, September 2015; Length: 20 minutes (2 hour loop). Co-Choreographer: Peter Redgrave. Collaborators: Peter Redgrave (Performance Artist), Deep Vision Dance Company (Dancers) Griff Beheler (Music), Elizabeth Terschuur (Rehearsal Assistant). Video by Michael R. Faulkner. "Out of My Head"(2012) was an experiential journey through Westnorth Studio, into the meditative garden, and around the street corner. Dancers performed intricate movement, responding to artwork of various artists. Premiere: Westnorth Studio, September 2012; Length: 2 hour. Collaborators: Deep Vision (Dancers), royrosse (Sculptor), Helen Elliot (Enamel Artist), Valerie Maynard (Sculptor), Chloe Wiecz and David Bridgeman (Music). Photo by Zachary Z. Handler. Out of My Head(2012) was an experiential journey through Westnorth Studio, into the meditative garden, and around the street corner. Dancers performed intricate movement, responding to artwork of various artists. Premiere: Westnorth Studio, September 2012; Length: 2 hour. Collaborators: Deep Vision (Dancers), royrosse (Sculptor), Helen Elliot (Enamel Artist), Valerie Maynard (Sculptor), Chloe Wiecz and David Bridgeman (Music). Photos by Zachary Z. Handler. 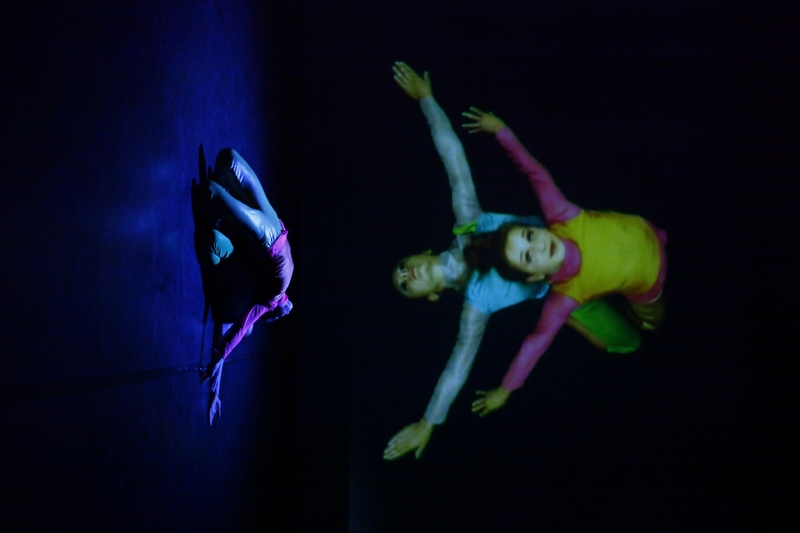 "Causal Nexus SITE" (2014) is an audience interactive, cause-and-effect dance or "system" based on the notion - one body, one action, one choice impacts subsequent events. Premiere: Station North Chicken Box, September 2014; Length: 2 hours. Collaborators: Andrew Freed (Musician). Photo by Rebecca Wolf. "Bottle Caps & Suits explores the 100 year old history of a Baltimore factory - transitioning from the Crown Cork & Seal Company, to" the Lebrow Brothers Clothing Company, and finally to the Baltimore Design School. Premiere: Baltimore Design School, September 2015; Length: 20 minutes (2 hour loop). Co-Choreographer: Peter Redgrave. Collaborators: Peter Redgrave (Performance Artist), Deep Vision Dance Company (Dancers) Griff Beheler (Music), Elizabeth Terschuur (Rehearsal Assistant). Photo by City Digital Photography. Between 2012-2016, Martinell enjoyed researching the historical layers and bringing to life the women, dances, and music of the Ragtime Era. Martinell created two an evening length works as well as a residency work for K-12 students and seniors. Heady Collectables: Lighthearted and candid, heady collectables brings to life an assortment of head idioms, such as “two heads are better than one,” “hothead,” and “heads up!” Vibrant characters, Scott Joplin music, boxes, and humorous poetry weave together this witty work. 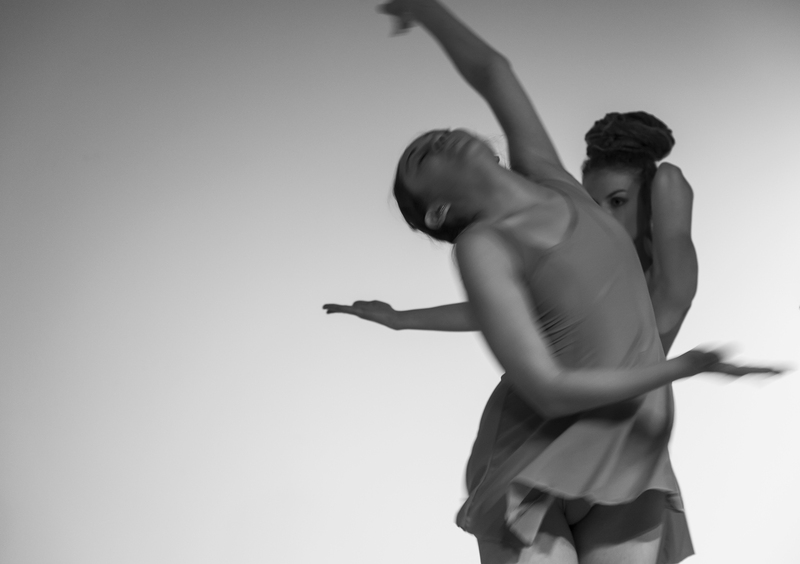 Premiere: January 2013; Length 36:00 minutes: Dancers: Deep Vision Dance Company. Collaborators: Caroll Dorritt (poet), Paul Martinell (props). Special feature: Dance Place & Capital Fringe Festival, 2013. Women of the Ragtime Era & The Traveling Feet: Youth/Senior Residencies: Immaculate Conception, Patapsco High School, Weinberg Village Senior Center, Jewish Community Center, Seton Keough High School, St. Joseph’s Nursing Home. Premiere of "The Traveling Feet" at Baltimore Theatre Project, April 2014. 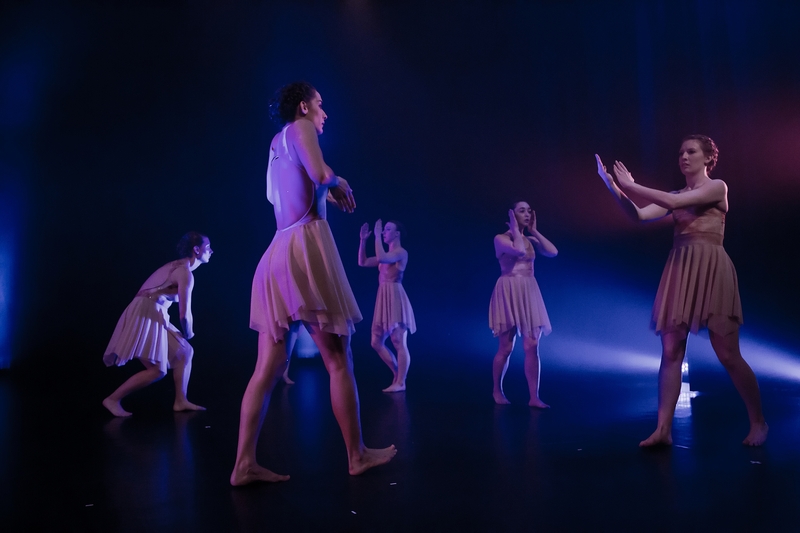 Dancers: Deep Vision Dance Company; Music Composition: Towson Percussion Group; Lighting Design: Heather Mork; Costumes: Leigh Targaryen and Jay Buechler. Photo by: City Digital Photography. Site-specific photography of "heady collectables" by Zachary Z. Handler at the Paper Moon Diner. Dancers: Deep Vision. Celebrating the women, dances, and music of the Ragtime Era, “The Traveling Feet,” was transformed into an interactive performance/lecture demonstration for youth and seniors. 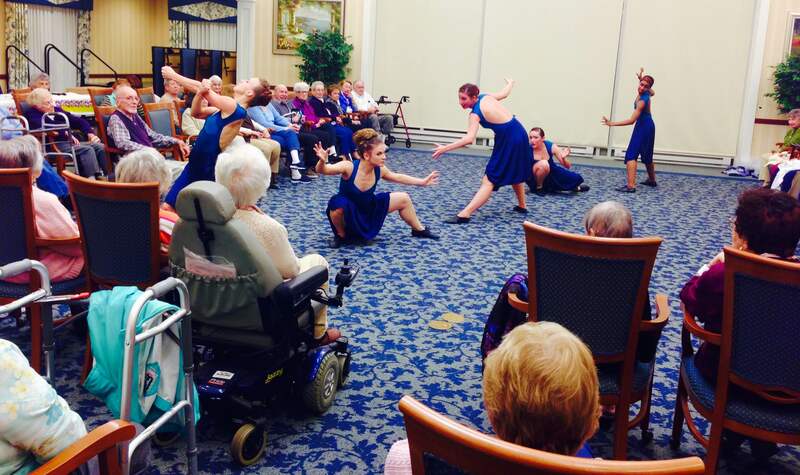 Photo of dancers performing at Weinberg Village in Owings Mills. Photo by Nicole Martinell. Excerpt of premiere of "The Traveling Feet" at Baltimore Theatre Project, April 2014. 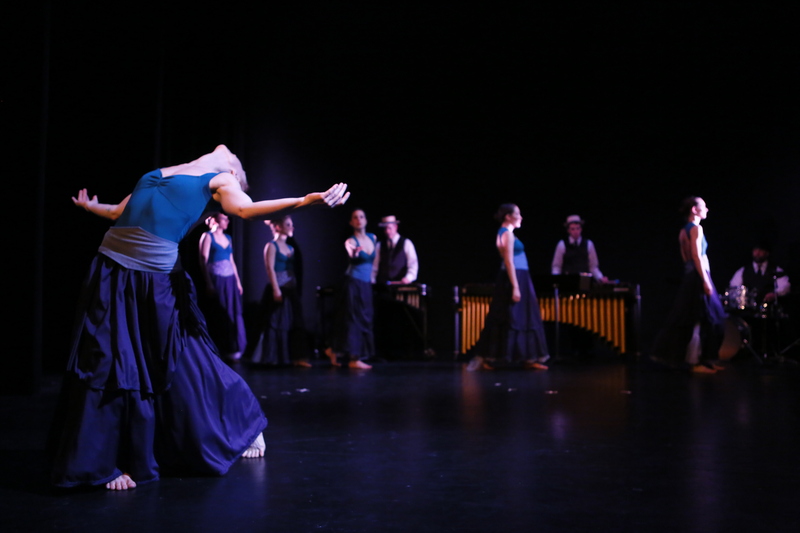 Dancers: Deep Vision Dance Company; Music Composition: Towson Percussion Group; Lighting Design: Heather Mork; Costumes: Leigh Targaryen and Jay Buechler. 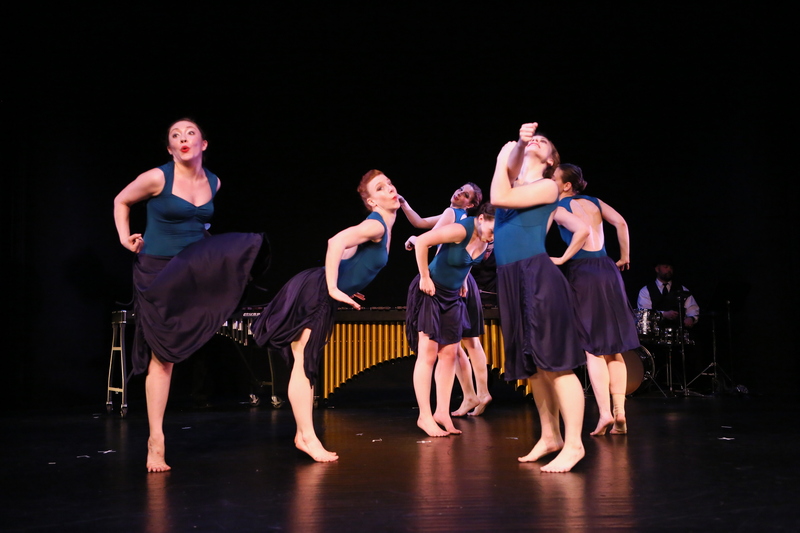 Excerpt of reprise of "The Traveling Feet" at Baltimore Theatre Project, April 2015, in Martinell/Deep Vision’s 5 year anniversary, FLUX concert. 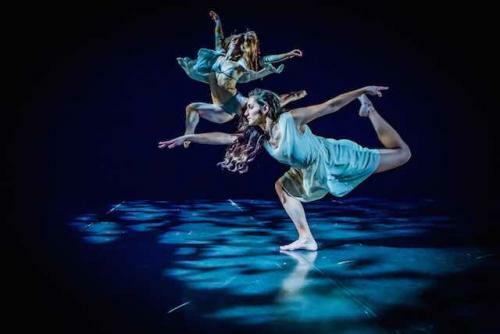 Dancers: Deep Vision Dance Company; Music Composition: Patrick Roulet, Rachel Roulet, Gunnar Folsom; Lighting Design: Heather Mork; Costumes: Leigh Targaryen and Jay Buechler. Celebrating the women, dances, and music of the Ragtime Era, “The Traveling Feet,” was transformed into an interactive performance/lecture demonstration and "animal dance" movement classes for youth and seniors. Photo of dancers with students at Patapsco High School and Center for the Arts after a multi-day residency. Photo by Sidney. “heady collectables" playfully brings to life an assortment of head idioms, such as “out of my head,” “heads up!” and “hothead." Vibrant characters, Scott Joplin’s ragtime music, and humorous poetry by Doritt Carroll weave together this witty debut. Premiere: January 2013; Length: 36 minutes; Dancers: Deep Vision Dance Company; Collaborator: Doritt Carroll (Poetry), Paul Martinell (props), Leigh Targaryen and Jay Buechler (costumes). Special features: Dance Place, Washington, DC. 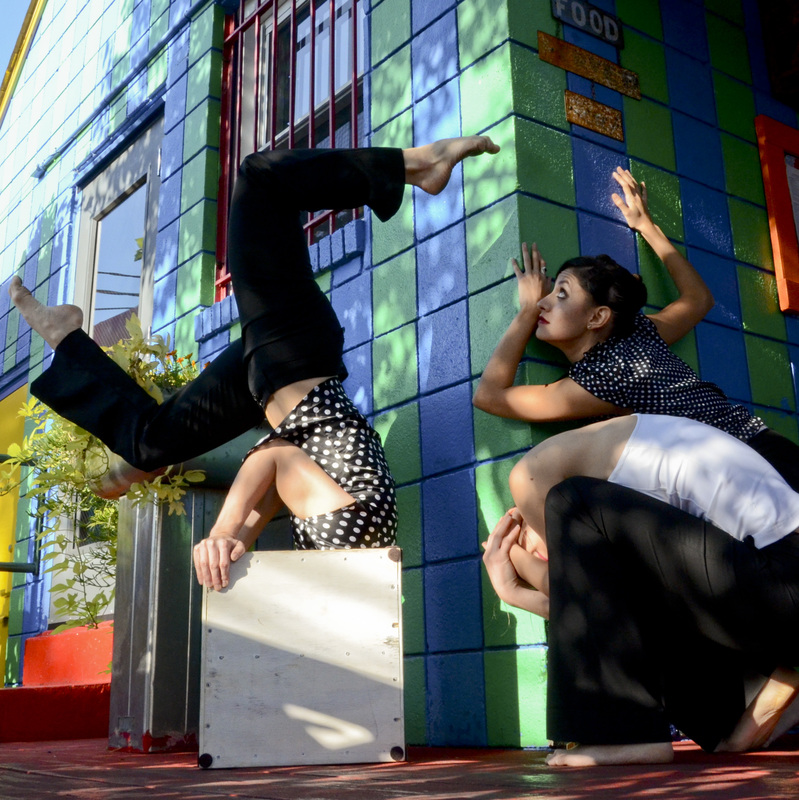 Martinell’s fascination with physics and dance emerged during her site work at the Station North Chicken Box in AKIMBO 2014. The site-exploration was a large-scaled, interactive, cause and effect grid. From here, the proscenium work, Causal Nexus, birthed. Investigating the visual beauty of unfolding physical phenomena, Causal Nexus explores collisions, momentum, and energy in a closed system surrounded by gradually enclosing, cushioned walls. Choreography further evolved into two forms: Matter, Energy, Human, an evening length modern work, and Learning Physics through Movement, an arts integration outreach program for K-12, both debuting in 2016. Learning Physics through Movement has been shared with numerous schools throughout 2016-2017. Created by Artistic Director Nicole A. Martinell in collaboration with Physicist Dr. Svetlana Gladycheva, “Learning Physics through Movement” is an arts integration program for K-12 students that shares innovative ways to explore and grasp physics concepts through the art of dance. 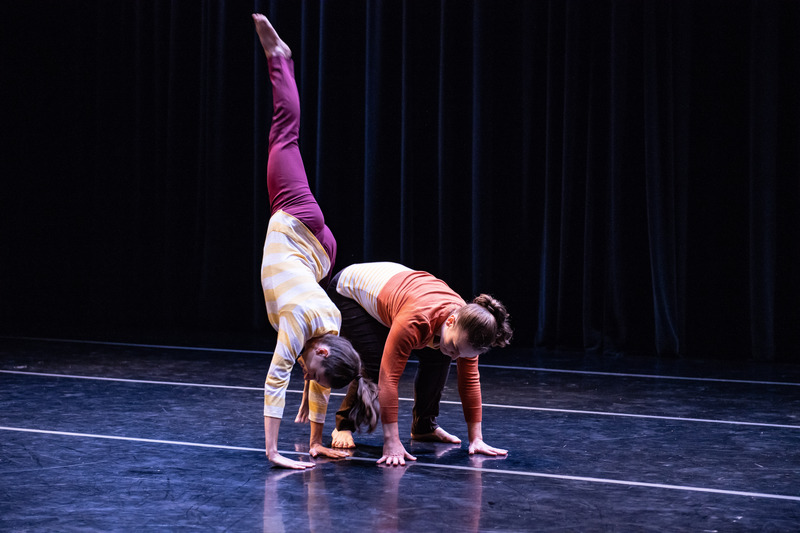 Concepts, such as inertia, force, and equilibrium, are introduced to students through creative movement classes, hands-on experiences, and performance excerpts. 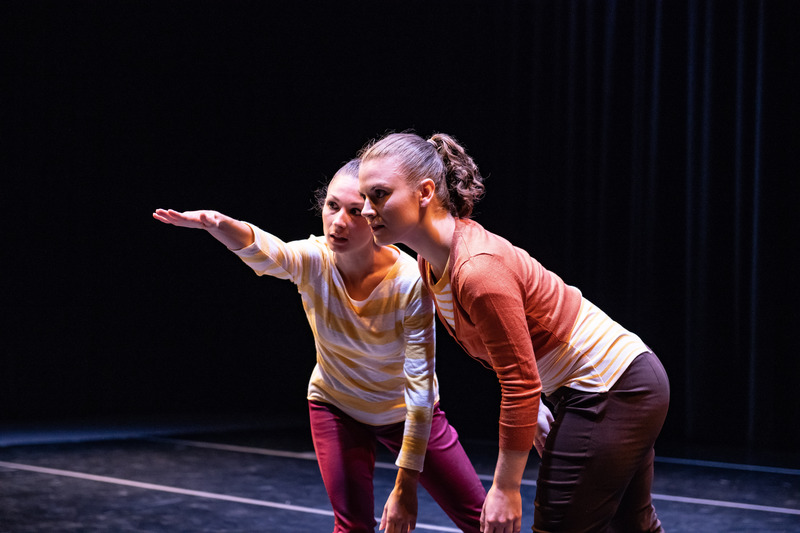 Facilitated by one of DVDC’s talented teaching artists or by Martinell herself, the dance/movement classes enable students to explore physics concepts in an intimate and supportive environment. Classes are filled with collaboration, creative problem solving, and improvisatory games as students connect physics and dance. Photo of DVDC teaching artist, Kelly Weckesser Hall, with Immaculate Conception Xstream Movers (5th graders). Photo by Karen Kuebler. A highlight of the “Learning Physics through Movement” programming, the lecture demonstration is an interactive performance featuring 6 professional dancers of DVDC and emceed by Martinell and/or Gladycheva. Students are introduced to Newton’s Laws (inertia, force, action/reaction), gravity, equilibrium, and torque. Illustrations of abstract concepts elegantly and playfully come to life through dance – unique partnering, challenging balances, and swirling patterns. 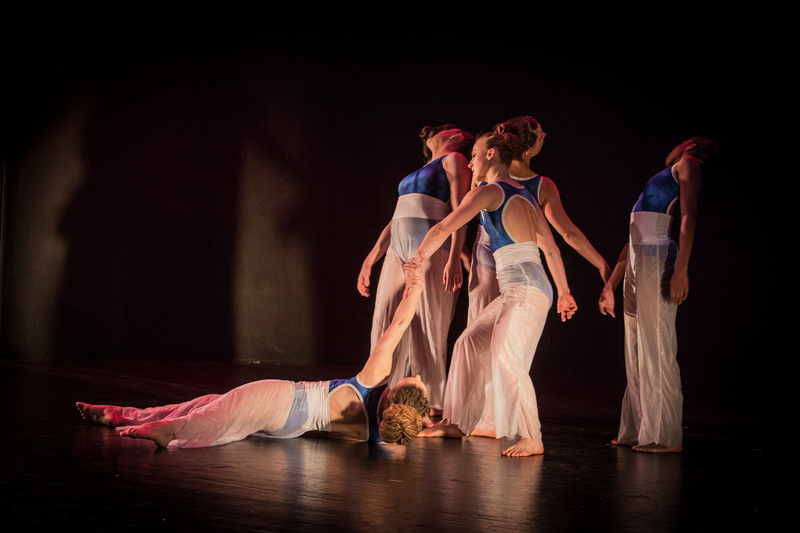 Premiere of "Causal Nexus" at Baltimore Theatre Project, April 2015; Dancers: Deep Vision Dance Company; Music Composition: Timothy Nohe and Shelly Purdy; Lighting Design: Heather Mork; Costumes: Leigh Targaryen and Jay Buechler; Photo by: Michael R. Faulkner. Performance of "Causal Nexus" at the Evening of Artistic Excellence, Baltimore Museum of Art, October 2015. Dancers: Deep Vision Dance Company; Music Composition: Timothy Nohe and Shelly Purdy; Costumes: Leigh Targaryen and Jay Beuchler; Photo by: Richard A. Smith. 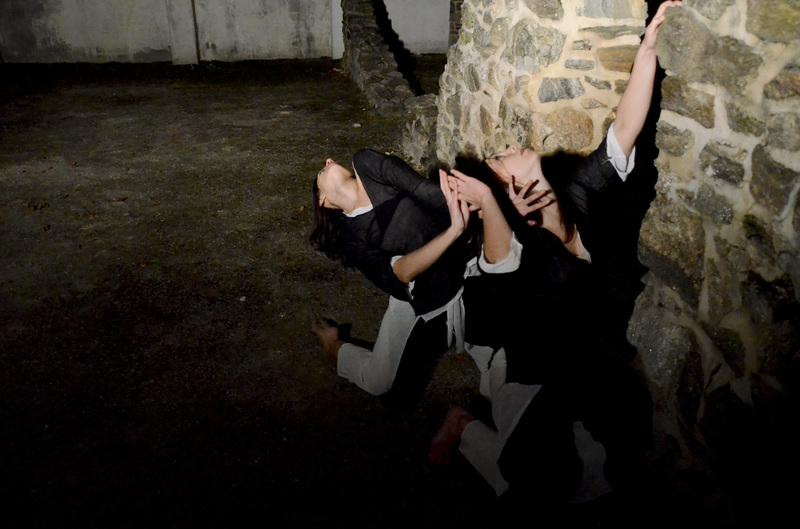 Excerpt of Causal Nexus SITE at AKIMBO Dance & Movement Art Festival 2014. Dancers: Deep Vision Dance Company and audience members; Music: Andrew Fried. Casual Nexus SITE explored an audience interactive, cause and effect grid within the Station North Chicken Box. Always curious and continually fascinated with working in collaborative settings, Nicole Martinell developed a series of works that connected her to a variety of artists and that integrated a multiple elements and/or mediums. Though all of her works highlight collaborative processes, a few of her most fond, memorable, and personally impactful are below. Fractured Spectrum: Immersing the audience with videography and translucent mirrors, Fractured Spectrum traverses the continuum from dark, ambiguous self-absorption to light, clarity, and compassion. Premiere: June 2011; Length: 34 minutes; Dancers: Deep Vision; Collaborators: Ron Santana (Video), Paul Martinell (Mirrors). Special feature: Joe’s Movement Emporium and Theatre Project, 2012. Flirt & Fizzle: A whimsical duet that the validity of relationships emerging from intrigue and fixation. Premiere: April 2010; Length: 10 minutes; Dancers: Lindsey Hedrick, Amina Royster (original cast); Collaborator: Ron Santana, David Merino (Video), Kendra Shapanus (Costume). 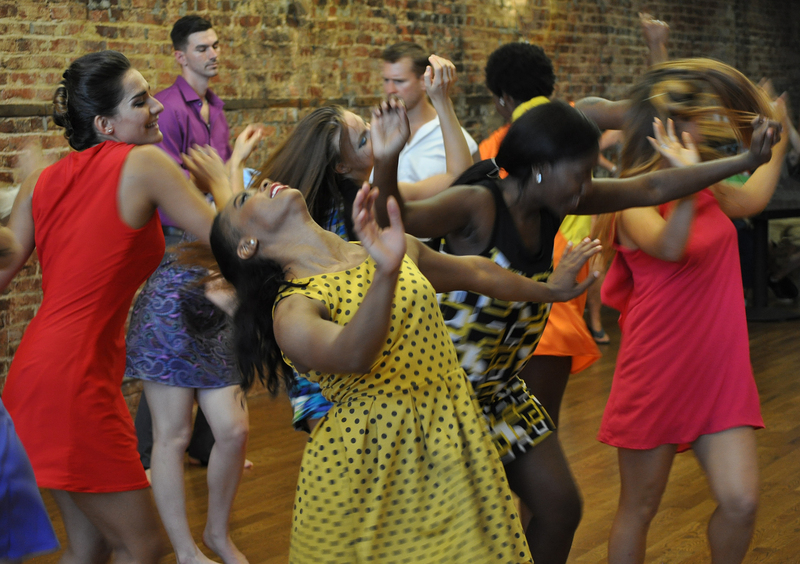 Special features: Dance Place Choreographers Showcase, DC; Green Space, NY; Triskelion Arts, NY, 2011. Laguna el Encanto (Charm Lagoon) collides quirky modern dance with flashy flamenco movements, resulting in a peculiar bird ballad. Flamenco artist, Jamahl Rahmaan displays his delicious footwork as bird-like women swoon to be his mate. The rhythmic landscape is composed and performed live by regional artist, Griff Beheler. 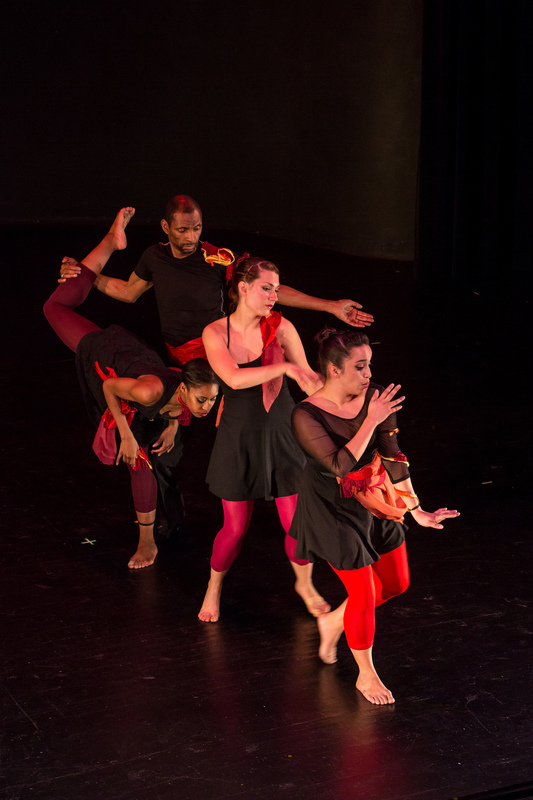 Work celebrates the 5 year anniversary of Martinell's Deep Vision Dance Company at Baltimore Theatre Project in 2015. 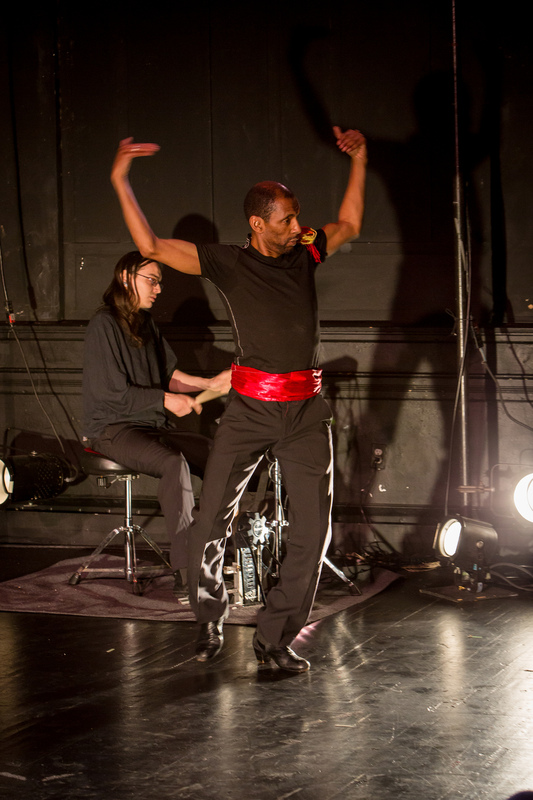 Collaborators: Jamahl Rahmaan (flamenco artist), Griff Beheler (music composition). Site-specific photography of "Fractured Spectrum" by Zachary Z. Handler at the Patapsco Female Institute (PFI) Historic Park. Dancers: Deep Vision; Costumes: Leigh Targaryen. Collaborations with Videographers: "Fractured Spectrum" & "Flirt & Fizzle"
Featuring excerpts of "Flirt & Fizzle" and "Fractured Spectrum." Choreography by Nicole A. Martinell. Videography by Ronald Santana. 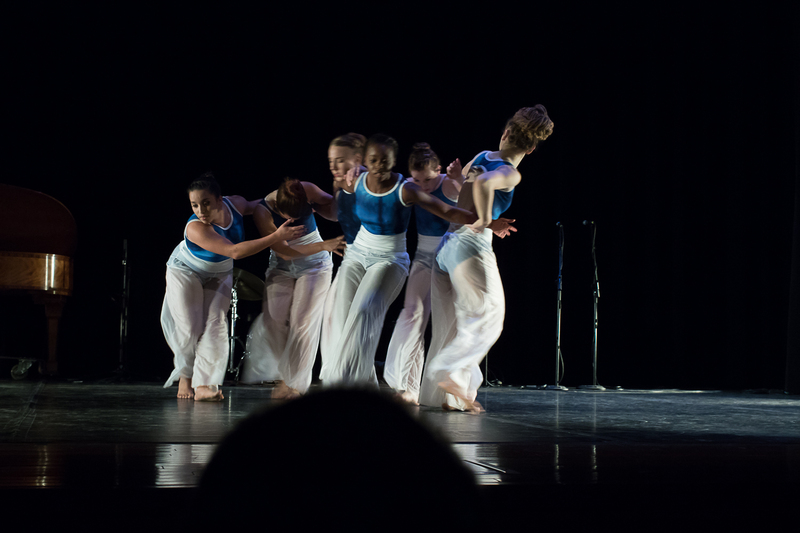 Dancers: Towson University Dance Company and Deep Vision Dance Company. Immersing the audience with videography and translucent mirrors, "Fractured Spectrum" traverses the continuum from dark, ambiguous self-absorption to light, clarity, and compassion. Premiere: June 2011; Length: 34 minutes; Dancers: Deep Vision; Music: Sigur Rós, Aphex Twin, Amon Tobin, Oval, Nosaj Thing, Leila, Mike Sheridan, Hiroshi Watanabe, Near the Parenthesis (edited by Paul Martinell and Ron Santana). Collaborators: Ron Santana (Video), Paul Martinell (Mirrors). Special feature: Joe’s Movement Emporium and Theatre Project, 2012. “Flirt & Fizzle” is a whimsical duet that questions the validity of relationships emerging from intrigue and fixation. Premiere: April 2010; Length: 10 minutes; Dancers: Lindsey Hedrick, Amina Royster (original cast); Collaborator: Ron Santana, David Merino (Video), Kendra Shapanus (Costume). 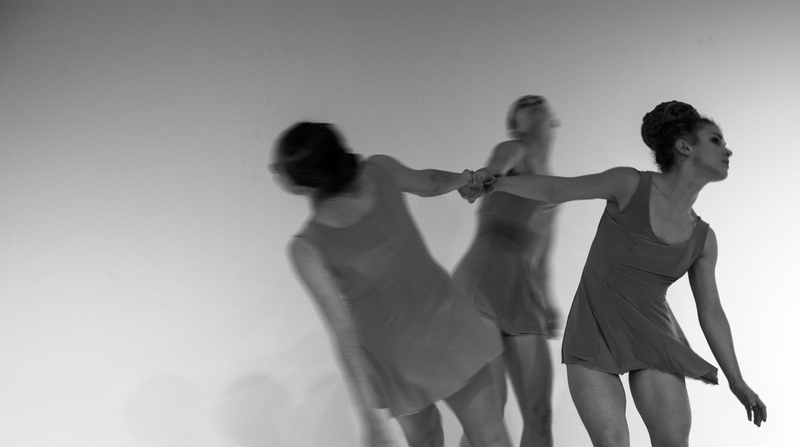 Special features: Dance Place Choreographers Showcase, DC; Green Space, NY; Triskelion Arts, NY, 2011. 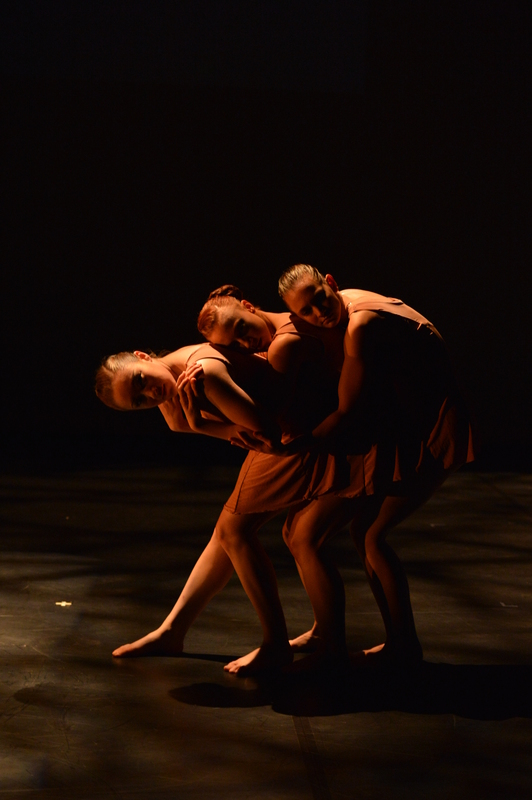 Video features restaging of work for the Towson University Dance Company, 2011. "Flirt & Fizzle." Photo by: City Digital Photography. Dancers: Jeanna Riscigno, Lara Friedman. Collaborator: Ronald Santana. Performance: Uncover at Studio Theatre, Towson, MD, April 2011. When moving to Baltimore in 2008, Martinell choreographed a series of solo works. Originally choreographed for her body, these works were later transposed onto other, unique bodies. Twisted, emotional, thought-provoking journeys were key to these works as well as collaborative elements. 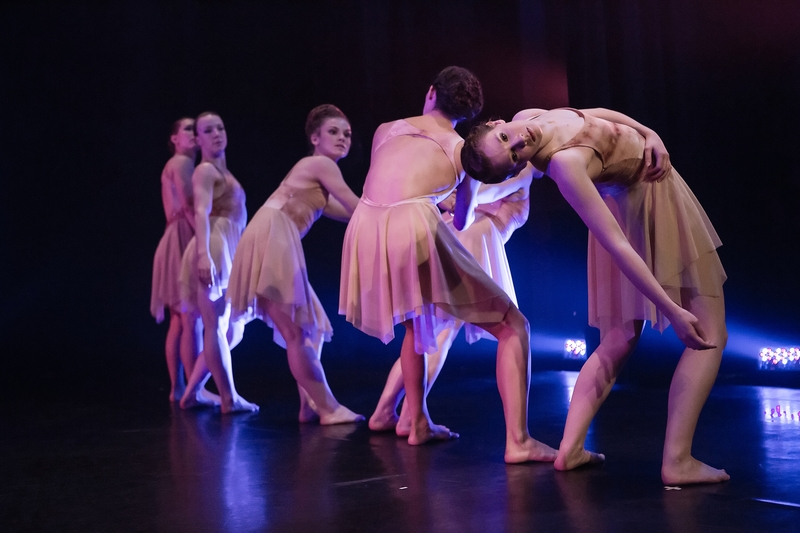 Both works were reconstructed on company members of Deep Vision Dance Company as well as students of the Towson University Dance Company between the years of 2015-2017. 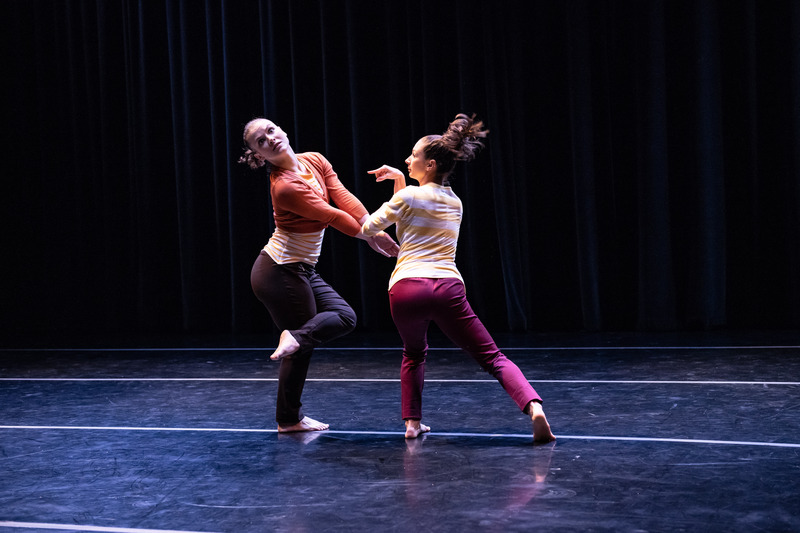 Most recently, Inner Palette has been performed by Deep Vision at the Havre de Grace Opera House (2017) and has been accepted to be performed at the Baltimore Dance Invitational (2018). Muffle characterizes the emotional journey of a woman longing to speak, express, and find herself. Existing in a world of unknowns, she continually suppresses her voice and molds herself to the ways of others. She has become a puppet manipulated by her own fear. Can she swallow the self-doubt, escape her shield, and discover freedom? Inner Palette follows the journey of a woman sifting through complex layers of her psyche to reach self-acceptance. As the emotionally and physically rich layers emerge and unfold, the dancer moves toward a heightened, frantic state before finally releasing, submitting, digesting, and opening her eyes to her true, inner fabric. *Original version features 4 moldable sculptures composed of chicken wire, bottles, and construction fencing created by visual artist, Rebecca Wolf. Performance of "Inner Palette" at the Havre de Grace Opera House, October 2017. 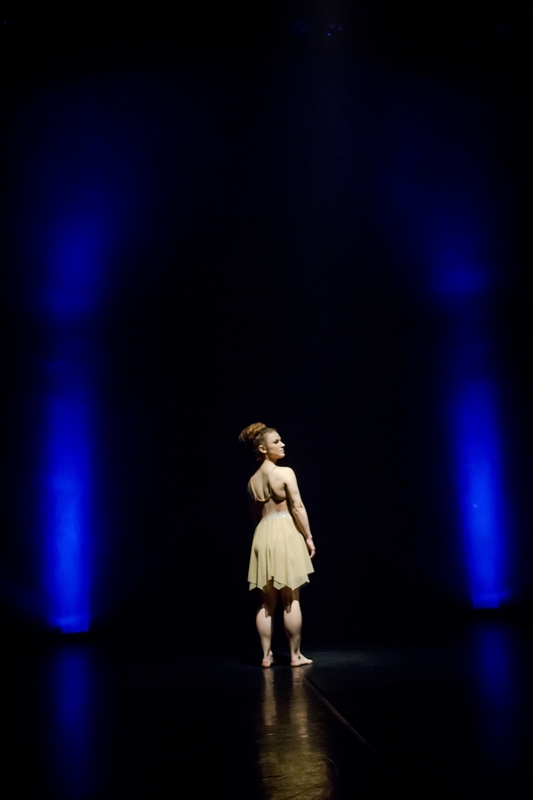 Dancer: Lia Karagianopoulos of Deep Vision Dance Company; Lighting Design: Heather Mork. Photo by: Nick Hood. 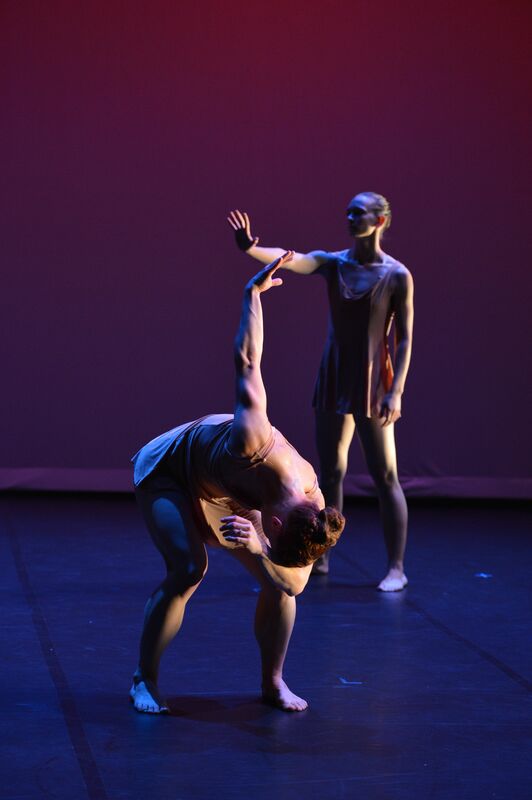 Nicole Martinell performing the premiere of "Inner Palette" at the Inertia Choreographer's Showcase at the Dance Studio Theatre in Towson, MD. October 2010. Sam Hopkins performing a reprise of "Muffle" for Martinell/Deep Vision's 5 year anniversary concert, FLUX, at Baltimore Theatre Project, April 2015. "Inner Palette" follows the journey of a woman sifting through complex layers of her psyche to reach self-acceptance. As the emotionally and physically rich layers emerge and unfold, the dancer moves toward a heightened, frantic state before finally releasing, submitting, digesting, and opening her eyes to her true, inner fabric. (*Original 2010 version features 4 moldable sculptures composed of chicken wire, bottles, and construction fencing). Choreographer: Nicole A. In 2011, Martinell founded Deep Vision as a vehicle for her choreographic and entrepreneurial endeavors. Over the past 6 years, Deep Vision has grown into an organization impacting many lives and much larger than Martinell’s dreams. 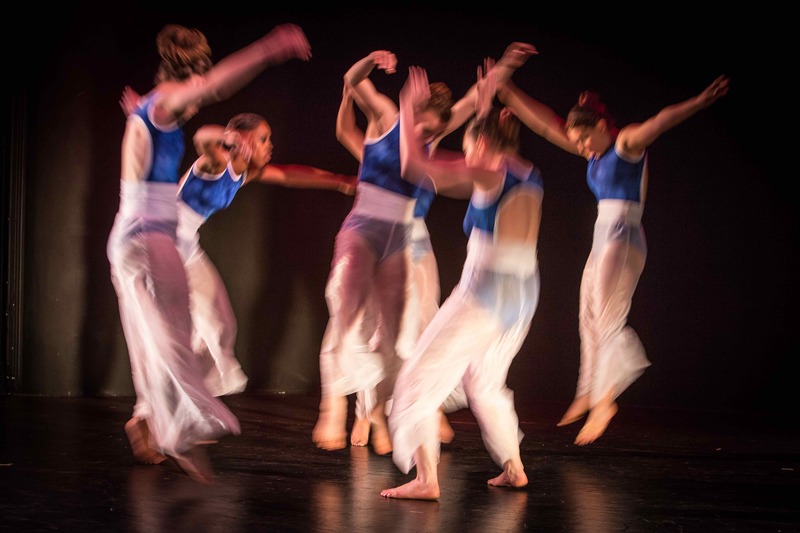 Based in Baltimore, Deep Vision is a performing arts, nonprofit organization dedicated to producing innovative choreographic work while creating a home for dancers, collaborating with regional artists, and educating the community in the creative process. Deep Vision choreography has been featured at such east coast venues as Baltimore Museum of Art (MD), Dance Place (DC), Green Space (NY), Clarice Smith Performing Arts Center (MD), Triskelion Arts (NY), Gala Theatre at Tivoli Square (DC) among many others as well as unique, site-specific locations throughout Baltimore City. Deep Vision is a resident company at Baltimore Theatre Project. Highly active in the community, DVDC/Martinell projects have included Go Deep! 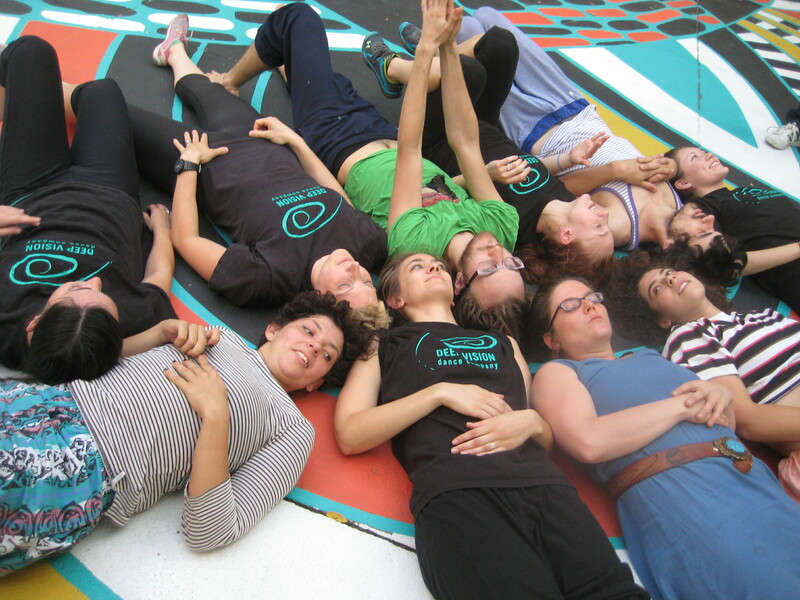 residency programs, By/4 Artist professional development series, Modern Dance for the Soma, Community Improvisation Jams, Dual Jams at Windup Space, AKIMBO Dance & Movement Art Festival, and choreographic mentorship for youth. Deep Vision’s open Community Improvisation Jams have been taking place since 2011! All artists and passionate improvisers are invited to explore, intersect, react in the moment, and meet friends for future collaborations. Dancers, actors, musicians, visual artists, and literary artists are all welcome to contribute and build a rich creative environment. Photo of June 2014 art jam with Sidney Pink. Photo by Sidney Pink. DUAL JAM, "collaborative, spontaneous artmaking"
Baltimore band, Friday Night Book Club & Deep Vision collaboratively presented and performed Dual Improv Jams at the Windup Space. A night of quirky, spontaneous fun, musicians and dancers responded to directives pulled from a hat every 20-minutes. Audience prompts and interaction threaded through the evening. Jams took place throughout 2013. Idea ignited from Andrew and Nicole’s collaboration for “Sacred Spaces” at AKIMBO 2013. Deep Vision's premiere of "Matter, Energy, Human"
A Deep Vision photo shoot for the upcoming premiere of Martinell’s latest work, “Matter, Energy, Human.” Picture features Deep Vision company members, Lia Karagianopoulos and Kelly Weckesser Hall, and the photographic talents of Michael R. Faulkner. Deep Vision’s open Community Improvisation Jams have been taking place since 2011! All artists and passionate improvisers are invited to explore, intersect, react in the moment, and meet friends for future collaborations. Dancers, actors, musicians, visual artists, and literary artists are all welcome to contribute and build a rich creative environment. Deep Vision's logo comes to life! By Local Artists / For Local Artists, these interactive, interdisciplinary workshops engage artists and educators in the areas of audience engagement, collaboration, self-promotion, creative processes, and more. Workshops are open and free to the community. Past workshops included such presenters as Liz Lerman, Alex Hewett, David London, ellen cherry, CJay Philip, and Buck Jabaily. Above photo features a 2014 workshop with Cassie Meador and Matthew Cumbie of Dance Exchange. Photo by Sidney Pink. Location: UMBC. Go Deep! 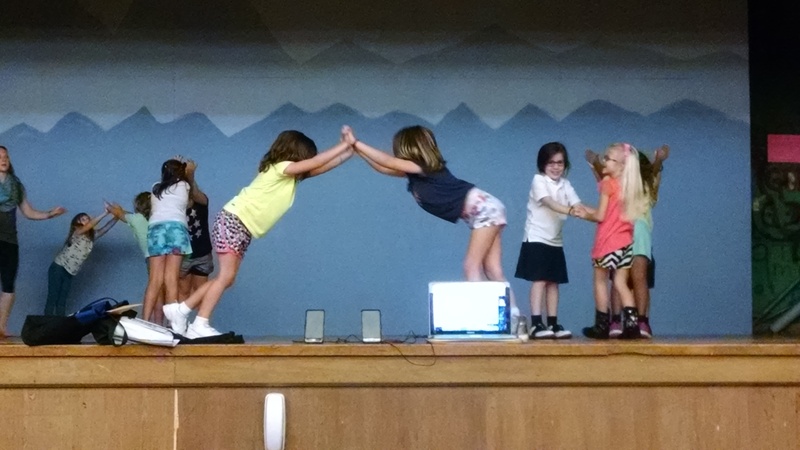 are 1-5 day residencies at schools and community organizations. 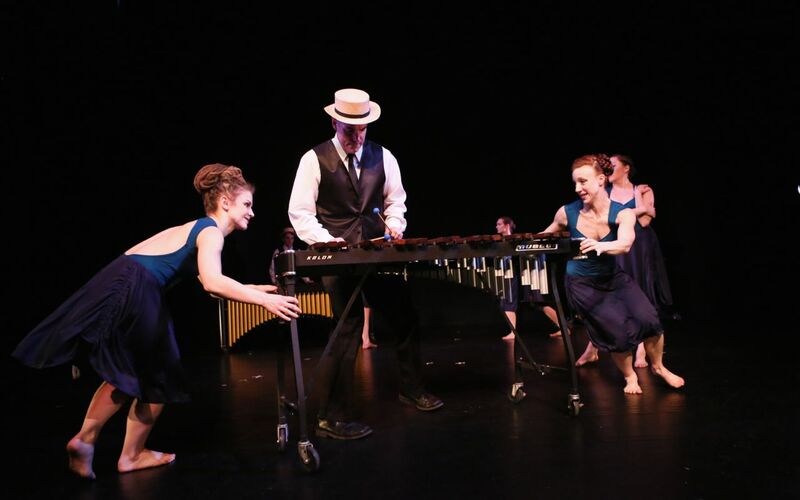 Students (youth/seniors/families) participate in interactive performances and movement classes centered on various themes, such as women’s suffrage and physics. Current programs include “The Traveling Feet of Ragtime” and “Learning Physics through Movement.” Photo at Weinberg Senior Center. Cofounded by Martinell and Sidney Pink, AKIMBO is a site-specific dance and movement art festival in Station North Arts & Entertainment District, Baltimore City, MD. AKIMBO looks for artists to dream big, to propose ideas never seen before at AKIMBO, and to question the definitions of dance and movement art. AKIMBO encourages interdisciplinary projects, proposals that take artistic risks, and ideas that focus on a strong artistic vision/voice from the company or artist. www.AkimboBaltimore.com. Photo by Brian O'Doherty. 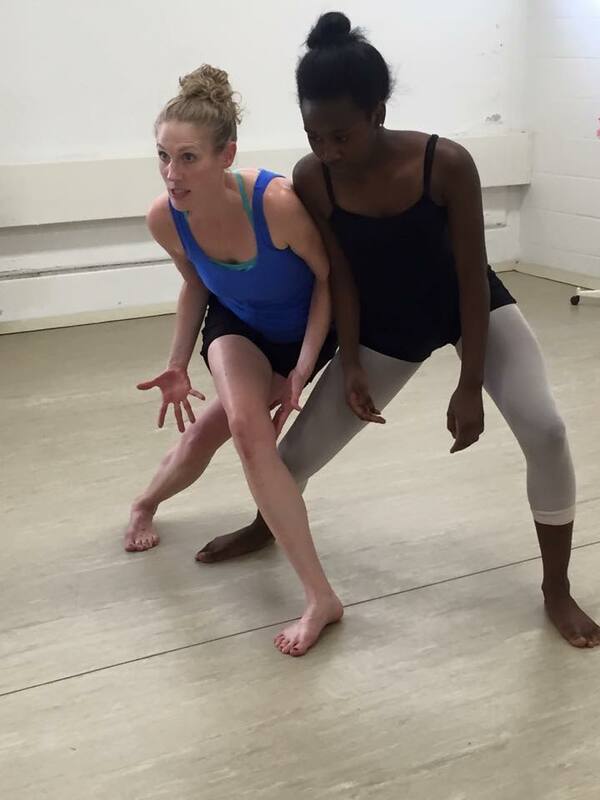 Martinell/DVDC offers improvisation and choreography workshops for youth throughout the Greater Baltimore area. Goal is to provide valuable tools for creative and critical feedback process while educating young individuals on the joys of dance making. Students explore their creativity, intellectually discuss their process, discover their artistic voice, and support the uniqueness of others. Photo features Martinell with dance student at Seton Keough High School. Taught by Martinell and invited guests, workshops emphasize a somatic approach to intermediate-level modern dance technique, layering self-awareness with dynamic movement choices and personal artistry. Each workshop highlights and builds upon a particular theme, such as spirals, sequencing, exertion/recuperation, phrasing, and weight sharing. Students enjoy discovering their soma, taking risks, exploring the body’s capabilities, and integrating concepts into daily life all within a supportive environment. Photo by Michael R. Faulkner. 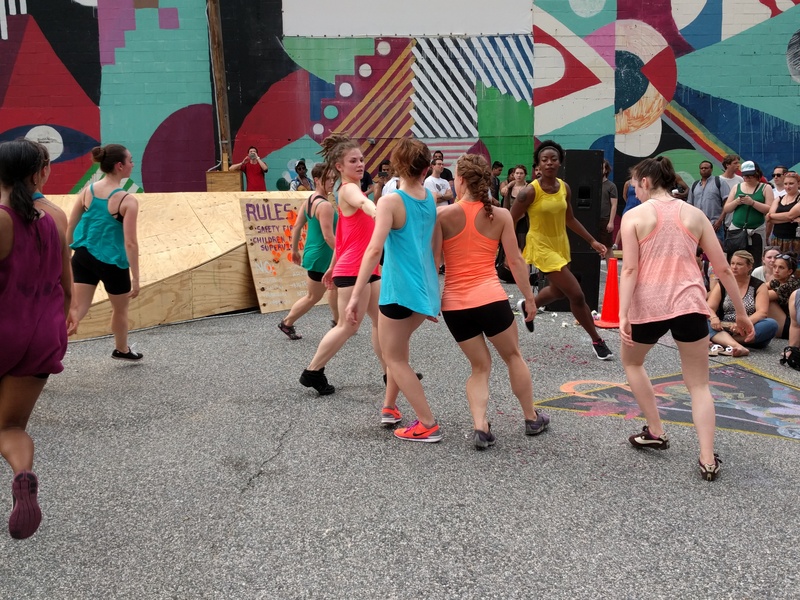 Recently celebrating its 5th year, AKIMBO is a festival of site-specific dance and movement art in Baltimore's Station North Arts & Entertainment District. 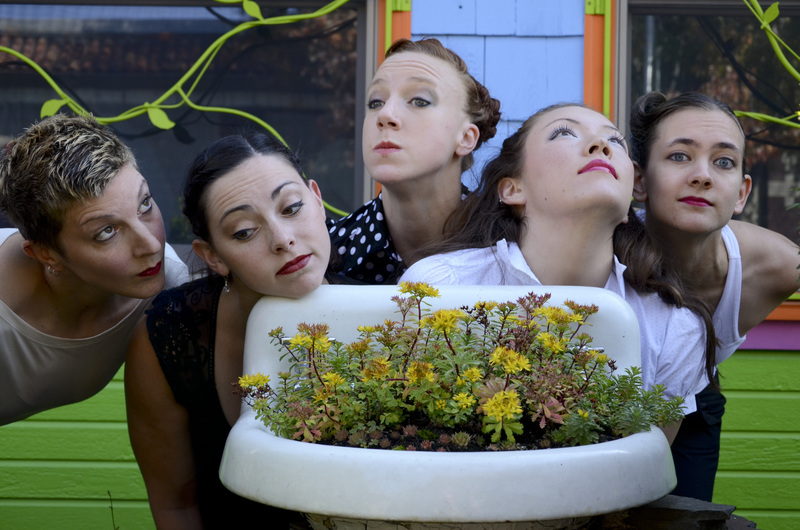 Comprised of the Artwalk, Teaser, & Spree, AKIMBO features 15+ professional dance companies and movement artists from traditional to experimental, plus music, spoken word, art installation, puppet, multi-media, performance art, and more. Over 150 artists perform in AKIMBO for ~800 audience members each year. During AKIMBO Artwalk (main event), artists present work in art galleries, restaurants, bridges, parks, murals, and businesses. Artwork speaks to the architecture, history, and/or theme of the locations. At their own pace, audiences explore the neighborhoods rich architecture while participating in live art. Over 50 volunteers in yellow shirts guide audiences along the way. 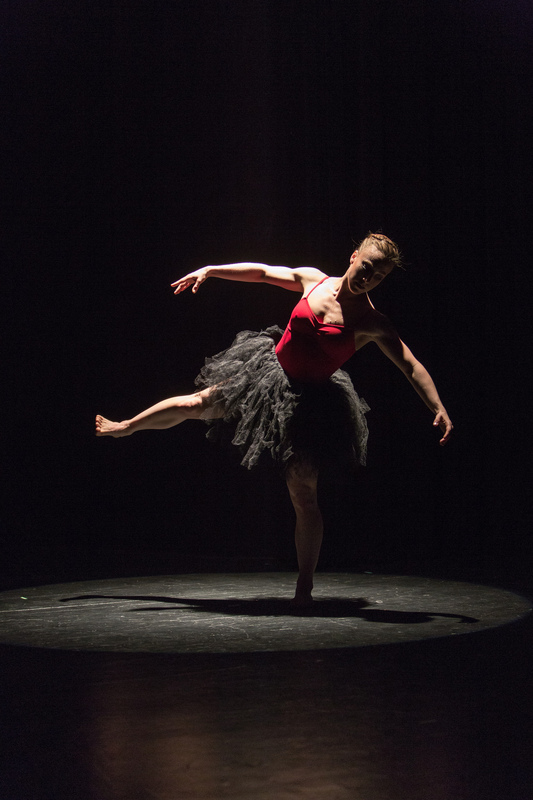 AKIMBO is a project of Deep Vision Dance Company, under the direction of co-founders/co-coordinators Nicole Martinell, dancer and choreographer, and Sidney Pink, local artist and curator. AKIMBO 2015 highlight reel featuring 17 dance companies and movement artists throughout Station North, Baltimore, MD. Video filmed and created by Michael R. Faulkner. Featured companies: RealLivePeople, Alex D'Agostino/Noelle Tolbert, Deep Vision, Full Circle, Rebecca Free, Trajectory, Baltimore Dance Project, The Collective, Dance & Bmore, and Sarah Smith. AKIMBO Teaser 2013 highlight reel, featuring Nicole Martinell/Deep Vision Dance Company, MICA Curaturial Practice’s “Congregate: Art + Faith + Community,” and Muse 360 Arts. Features photos by Xiotain Yang, Nicole Martinell, and Sidney Pink. AKIMBO is as much about the journey between the spaces as the experience within. A sense of beauty and safety within the community develops as audiences become aware of the rich and diverse offerings of Baltimore’s arts scene. Photo by Zachary Z. Handler, featuring Pendleton House at the Charles St. bridge. AKIMBO Teaser 2014 highlight reel, featuring Nicole Martinell/Deep Vision Dance Company, Flamenco Sole/Experimental Flamenco, Dance & Bmore, Gifted Unity, and Baba Ghanoush. Features photos by Xiotain Yang, Nicole Martinell, and Sidney Pink. Musicians, performers, visual artists, movers and shakers craft performances that speak to the architecture, history, theme, and/or visual artwork of a rich variety of locations. AKIMBO Artwalk 2012 performance by Sky Blue Pink at the former Honey Carryout. Photography by Theresa Keil. AKIMBO Teaser kicks off the 3-part Festival. During the Teaser, artists perform improvisational scores in a round robin fashion, cycling through 5 or more locations in the arts district. 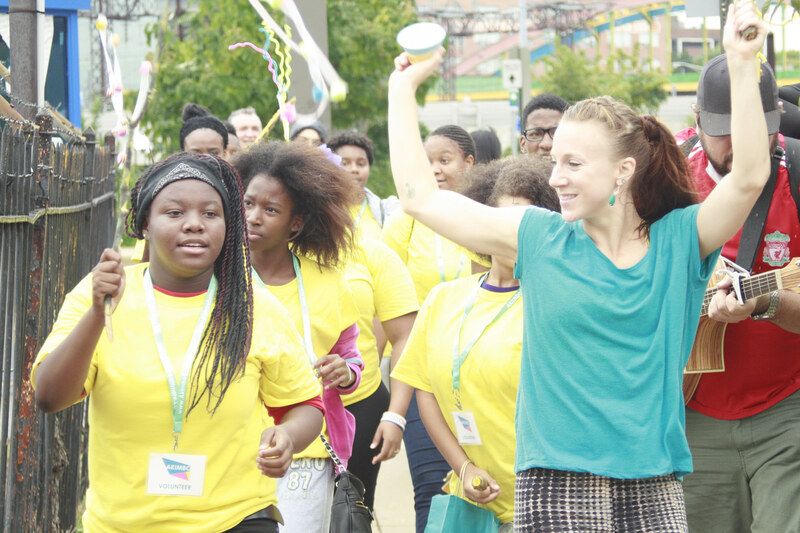 Concluding the Teaser, artists parade down to the Greenmount neighborhood to dance with youth at the Wonderground Lot. Photographer: Nicole Martinell. 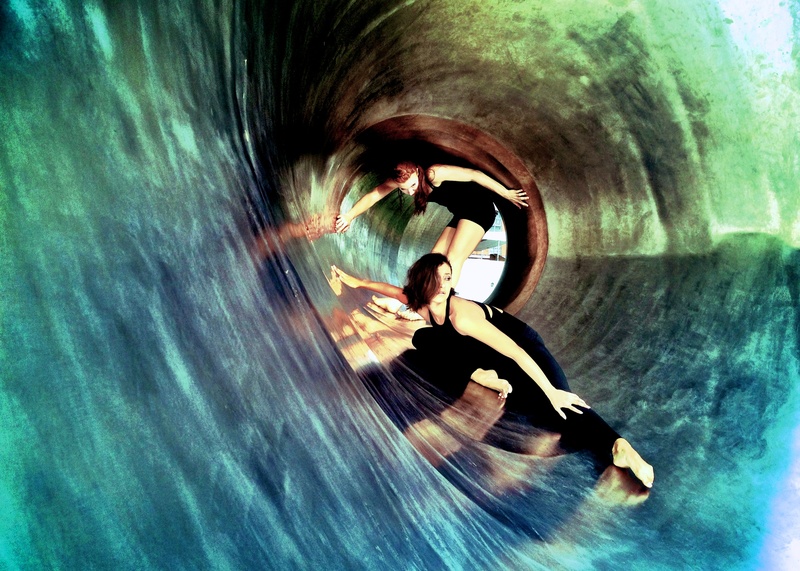 Features: Deep Vision and Isa Leal companies. Between the northwest (Part A) and southeast (Part B) portions of the festival, there is an all-inclusive Dance Jam where audience, dancers and musicians can join together for an improvisational hour of dance and movement art. 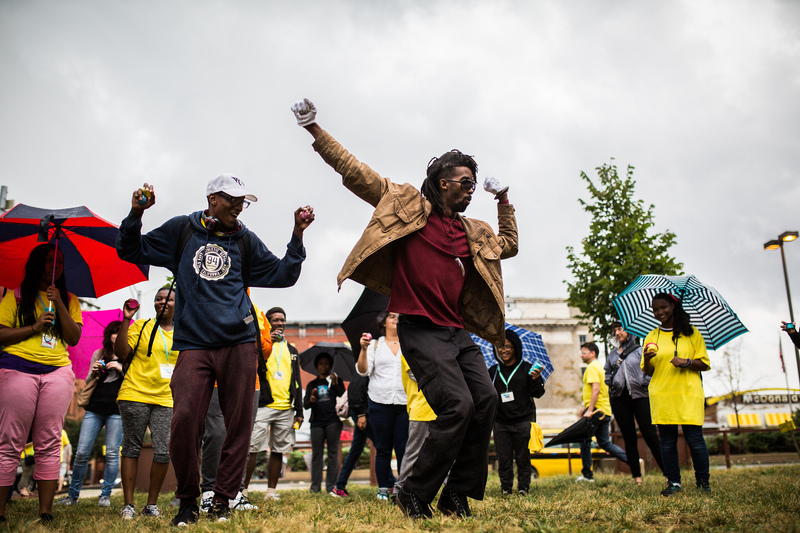 Photo features community members, Gifted Unity, Baltimore Dance Crews Project, and yellow shirt volunteers at the 2015 dance jam. Photo by Brian O'Doherty. As a lead-up to AKIMBO, artists enjoy FREE workshops facilitated by such renowned artists as Liz Lerman and Joshua Legg and join in Meet & Greets in Station North locations. Following the Artwalk and Spree, after parties continue collaborative discussions, to heighten community building, and to demonstrate support and appreciation of all artists. 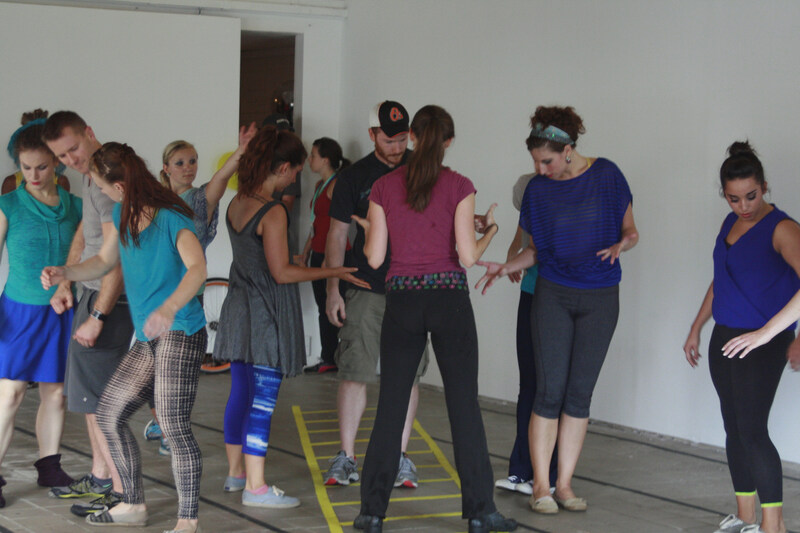 Photo highlights artists participating in a workshop with Cassie Meador and Matthew Cumbie from Dance Exchange at UMBC. 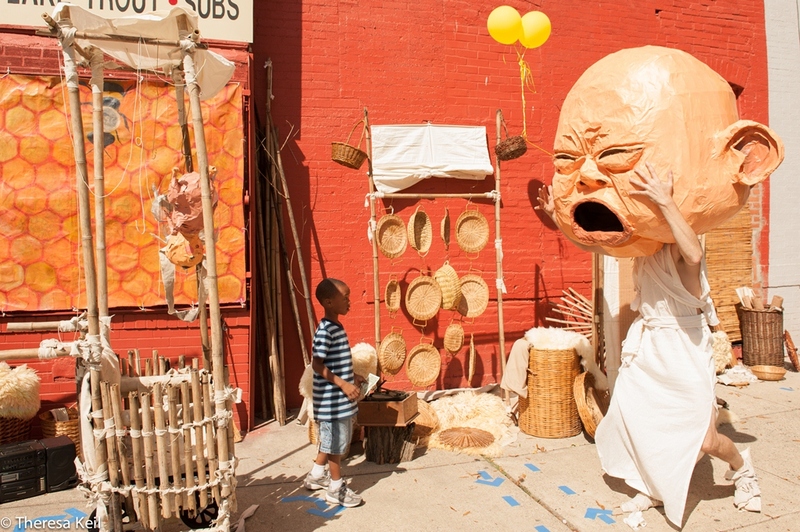 AKIMBO engages audiences in site-specific performances along an experiential journey. 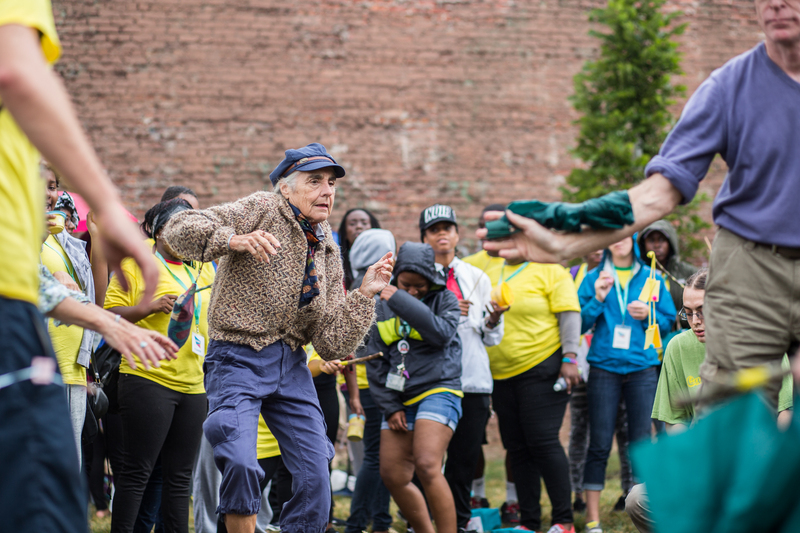 Strategically located volunteers in bright yellow shirts assist people in moving from place to place and in interacting with site-specific dance. Audiences further create their own journey by perusing the AKIMBO website, www.AkimboBaltimore.com, and referencing the colorful postcards. Photo by Rebecca Wolf. “3” is the number of truth and strength; “3” mediates, harmonizes, and connects; “3” is the key to divine perfection. Exploring this sacred number reveals its connection to the integrity of existence; order is organically sustained through the underlying pulse of 3. *Special feature at the Maryland Dance Showcase at the Clarice Smith Performing Arts Center in January 2014.